Lactose Intolerance or Milk Allergy: What’s the Difference? There’s a lot of confusion surrounding lactose intolerance and milk allergy — the terms may sound similar, but they actually describe two different digestive problems, and one is more severe than the other. It’s estimated that 30 to 50 million Americans have lactose intolerance. Milk allergy usually refers only to cow’s milk, although you may also be allergic to other types of milk, including soy. Although milk allergy is most common in infants and children, it can develop at any age. Milk allergy is the most common food allergy in children, affecting more than 2 percent of children who are under the age of 3. Many children outgrow milk allergies by age 5. • Hydrogen breath test. Undigested lactose produces high levels of hydrogen gas in your breath. Doctors can diagnose lactose intolerance by measuring this hydrogen after you drink a lactose-loaded beverage. • Stool acidity test. Undigested lactose also increases the amount of acid in the stool. Doctors may use this test to diagnose lactose intolerance in young children. • Food allergy testing. If your doctor suspects a milk allergy, you may be sent to an allergist for skin testing or have a blood sample drawn for laboratory allergy testing. Can You Eat Dairy With Lactose Intolerance or Milk Allergy? For both of these conditions, you’ll need to avoid or limit most dairy products. “But it is important to make sure you are getting enough calcium,” says Barto. If you have lactose intolerance, you may be able to tolerate small amounts of dairy. You can try hard cheeses and yogurt products, which tend to be lower in lactose than milk. There are also a variety of dairy-free foods that are high in calcium, including spinach, almonds, and dark leafy green vegetables. 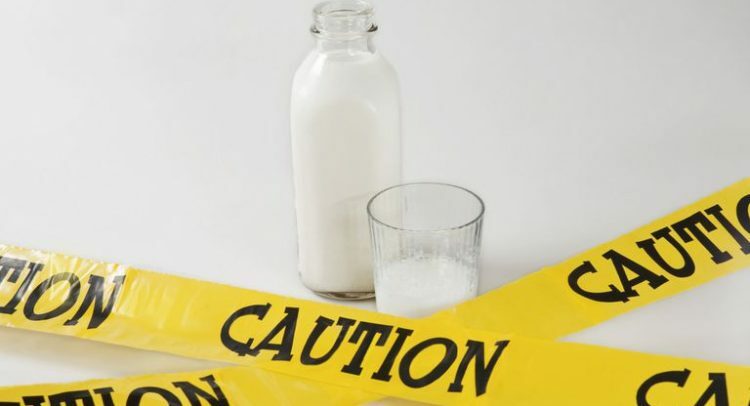 If you have milk allergy, you need to read labels and avoid foods that have any dairy, including the ingredients casein, whey, lactulose, lactalbumin, and ghee. If you or your child has symptoms that may be due to milk allergy or lactose intolerance, talk with your doctor. He or she can diagnose the problem and advise you on how best to avoid dairy while maintaining good nutrition, which is important no matter how young or old you are.